Corporate auditorium with room control plus signal extension and distribution. As a company with over two decades of experience, TVS (A Division of Conference Technologies, Inc.) works with its clients to see projects from conceptualization through execution. Beginning as a corporate and broadcast production company in the early 90’s, TVS has expanded to offer a growing variety of creative and technical solutions for digital communication. 1. The room proposed for renovations is used for meetings by the UAW-GM Center for Human Resources. 2. The existing equipment in the room has been used for the last sixteen years. 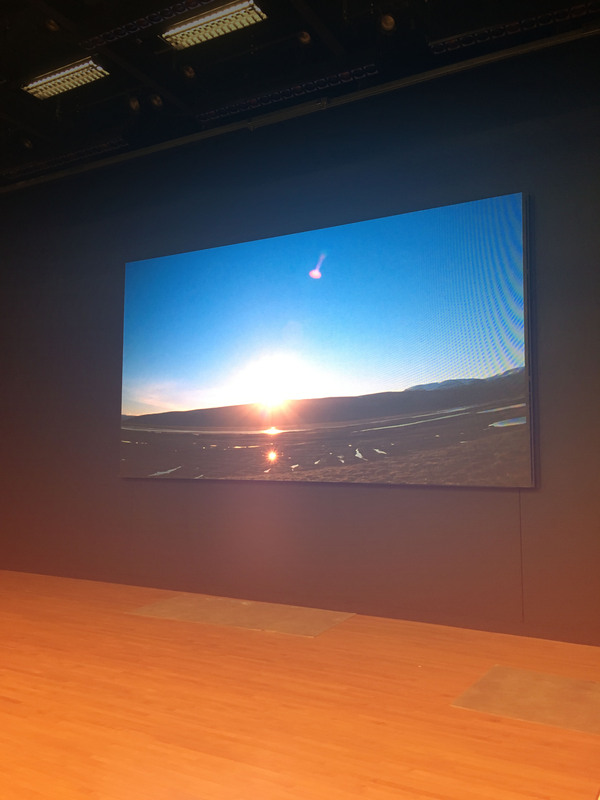 The current equipment is aged out and features a rear projection LCD videowall. TVS had plenty of options to select from for the purpose of video switching and controlling. Based on TVS extensive knowledge in the space and past experience, they knew that Lightware and HRS were the most cost effective options they could use, with the main focus on securely controlling, distributing and managing the room, including video and audio signals. TVS also knew that Lightware and HRS’ experience, understanding of the challenge at hand and professionalism would play a key roll in providing a full end-to-end solution for the client. TVS has used Lightware technology in other places, and they knew that Lightware provided excellent results. It was also very flexible that it would accommodate changes in the needs of the clients in the future which meant it could be used for a long time. Other options were not flexible and would have to be abandoned and replaced if there was a significant change in usage. If such changes became necessary, then the client would be forced to incur extra cost for new equipment as required. The Lightware and HRS solution would provide the best future-proof solution within the timeframe needed and within the proposed budget. with Lightware and HRS on the project. A Lightware Fr17 with a mix of HDMI and Fiber inputs along with HDMI and fiber outputs was used as the signal router for the system. HDMI inputs and outputs of the matrix allow for analog audio embedding and de-embedding, which will manage audio signal routing to the DSP. The fiber transmitters for the stage and podium have HDMI, VGA and DVI video inputs along with digital and analog audio inputs with auto source selection to send the correct video and audio source to the matrix. Fiber optic outputs of the matrix feed HDMI receivers back down to the stage, the signals on-stage and provide back stage signal monitoring. 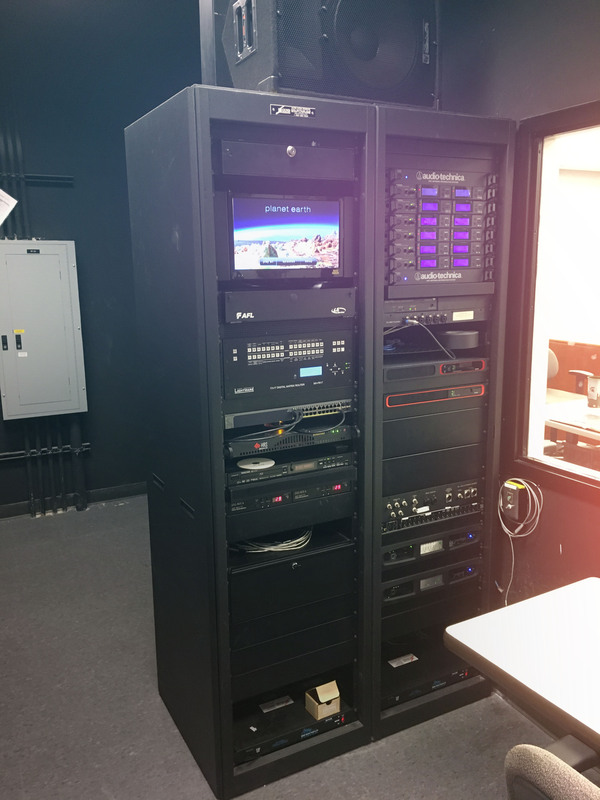 The HRS Enterprise-10ss Rack control server was installed with custom programming and onsite configuration of the control system in partnership with TVS. The HRS Windows app was used to run the control system in password protected kiosk mode on three of the Microsoft Surface touch panels throughout the room. The control system provides an easy-to-use interface for UAW clients and other users of the system, allowing them to manage signal routing and switching of the Lightware matrix as well as a Blu-ray player and other device control needed within the room.